Non-bovine species such as alpacas, goats and sheep will now be covered by bovine TB regulations in Scotland. New legislation bringing certain non-bovine animals under the control of Scotland’s TB regulations have come into force. Species including alpacas, sheep, goats and farmed deer will now be subject to a regime of TB controls where incidents are disclosed. 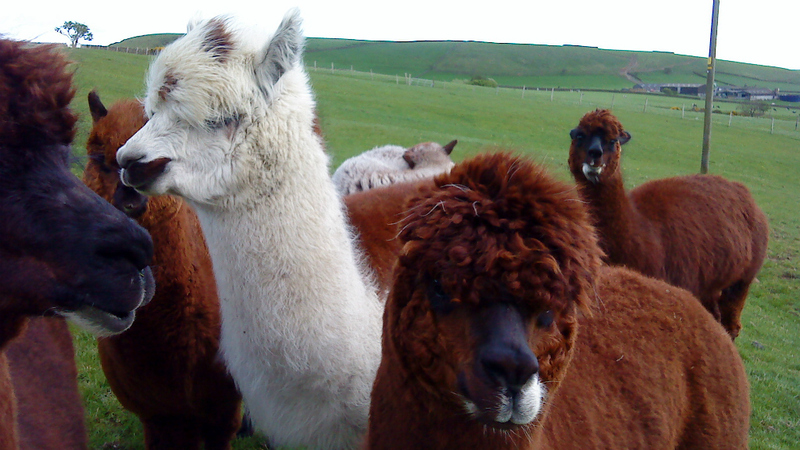 Notification of disease in alpaca, llama, vicuna, guanaco, deer, goats, sheep and pigs, and in the carcases of wild deer, is now required where they are affected or suspected of being affected with TB. Identification requirements for deer, alpaca, llama, vicuna, and guanacos. (Identification requirements for sheep, goats and pigs are already provided in existing identification and movement legislation). A veterinary enquiry, skin or blood testing and sampling of affected or suspected animals to be carried out as necessary in order to establish whether disease is present. Compulsory slaughter of any TB reactors identified - a notice of intended slaughter will be served to the keeper of the animal under section 32 of the Animal Health Act 1981. Owners who have their animals tested privately (such as for pre or post movement testing) are required to report any positive or inconclusive results to the Animal & Plant Health Agency (APHA) to ensure that the appropriate action can be taken to control any potential spread of disease. There is also a prohibition on vaccination or treatment of animals for TB, without written consent. However, the Scottish Government has no plans to introduce a routine TB testing regime for non-bovine animals. The new powers will only be used where a TB incident is disclosed, for example through post mortem examination or where animals have been traced from a known breakdown herd. There have been no confirmed Scottish outbreaks of bovine TB in these specified non-bovine species since 1992, but they have been frequently disclosed in these species in England and Wales. Rural Affairs Secretary Richard Lochhead said the measures were designed to protect Scotland’s official TB-free status and won support from industry and keepers in a Scottish Government consultation last year. “Scotland has been officially TB free since 2009 and we want to stay that way," he said. “The cattle industry is already strictly regulated for TB but those legal powers in Scotland did not specifically cover controls of non-bovine species, except deer, where TB is strongly suspected or confirmed. “The new measures coming into force today will address that gap and ensure Scotland is fully prepared to deal with any TB outbreaks that might arise. The British Veterinary Association (BVA) and BVA Scottish Branch welcomed the new legislation, which came into effect at the end of last week ( October 9). BVA Scottish Branch President Grace Webster said: "We are pleased to see that the Scottish Government has put legislative measures in place to guard against an incursion of the disease into Scotland in line with our advice.